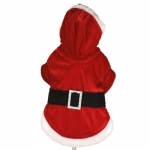 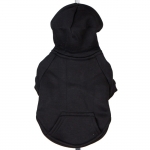 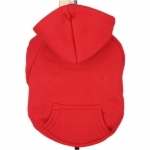 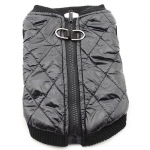 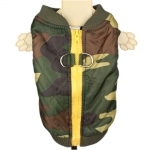 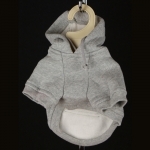 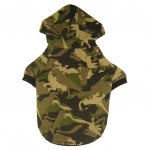 Coat for a small dog (chihuahua, jack russell, poodle), very warm and very soft thank to the good padding. 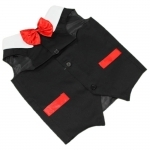 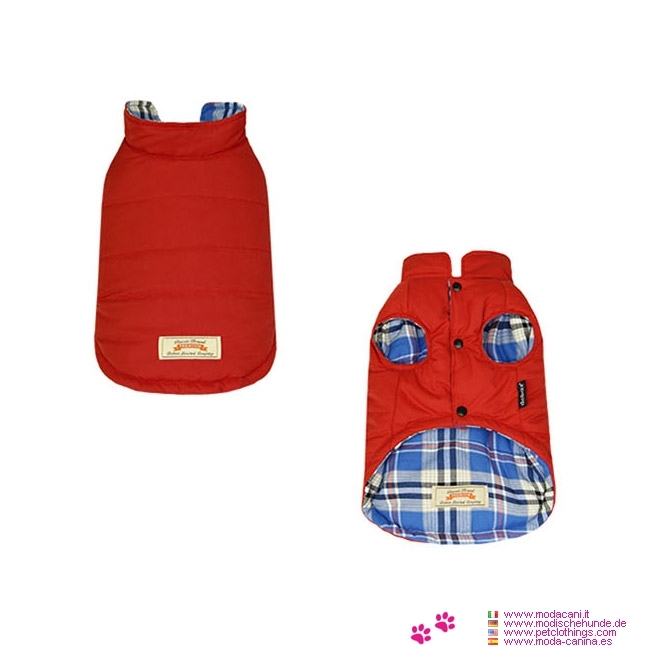 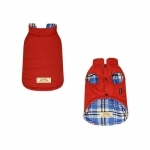 This coat for small dogs is double face: one of the backs is in solid red, the other one in tartan pattern, in shades of blue. 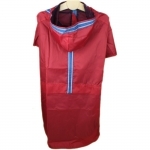 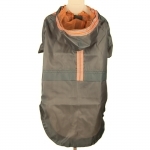 For the lining used (100% cotton), this coat is not indicated on rainy days as it is not waterproof. 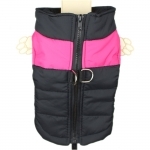 This coat is practical to wear: it is sleeveless and is without hood; the closure is on the belly with snaps. 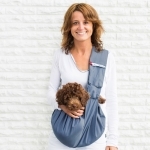 This website only accepts orders from European Union. 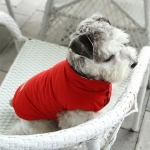 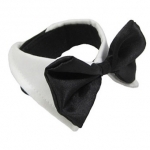 If you want to order from USA or Canada, please click here.